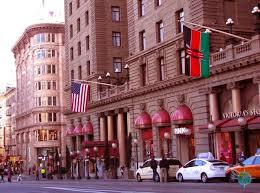 March 21, 2014 markd the 110th anniversary of the legendary Westin St. Francis, San Francisco�s most iconic hotel. Originally opened in 1904 to international acclaim, the hotel quickly became the center of the west coast�s social, theatrical and business life. Commissioned by Charles T. Crocker and his affluent circle of friends, their vision of making San Francisco the �Paris of the West� and the St. Francis Hotel the flagship came to life after two years of construction and $2.5 million, a hefty sum for that time period. 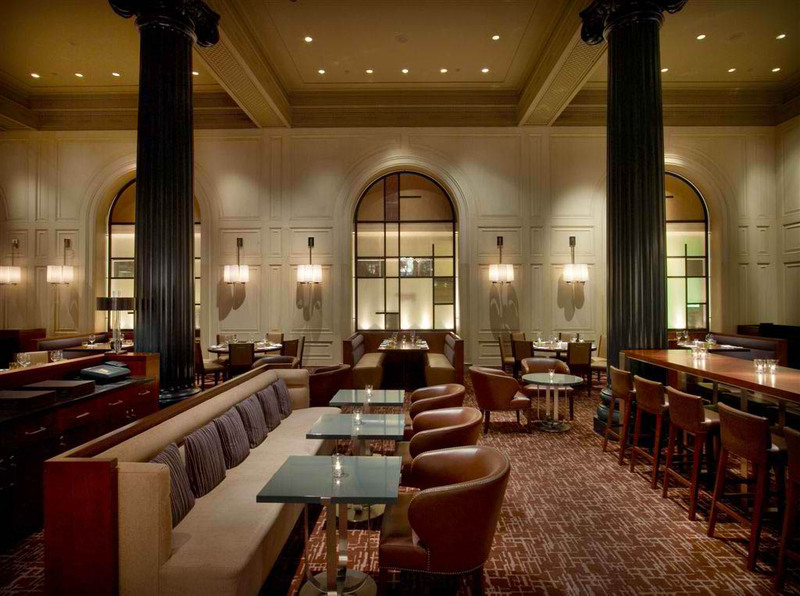 The opening of the historic St. Francis Hotel set a new echelon for innovation and opulence in San Francisco. Complimentary Historic Bites - on the 21st of each month from 1:10 � 2:10p.m., guests will enjoy complimentary historic bites from the �The Hotel St. Francis Cook Book,� published in 1910 by the legendary Victor Hirtzler, the first chef of the hotel. One item per month such as Canap� Julia, Celery Victor and Crabmeat, � la Louise will be presented on a cart for all to enjoy. Available in Caruso�s. The talented chef Team of the Westin St. Francis Hotel all make a unique contribution to the outstanding menu items found in the dining venues of this vererable San Francisco Hotel. rotating historic cocktails will be served on the 21st of each month in Caruso�s, The Oak Room Restaurant, Clock Bar and Bourbon Steak. A sampling includes the �1904 St. Francis Martini,� the �Gold Rush� and a �Basil Gin Gimlet� classic gimlet. Available on the 21st of each month only. In addition, Caruso�s will serve the �Cable Car Cocktail� year round. Guests and locals will have the opportunity to learn about the hotel�s rich history duringcomplimentary tours held on the 21st of each month at 1:10 pm. 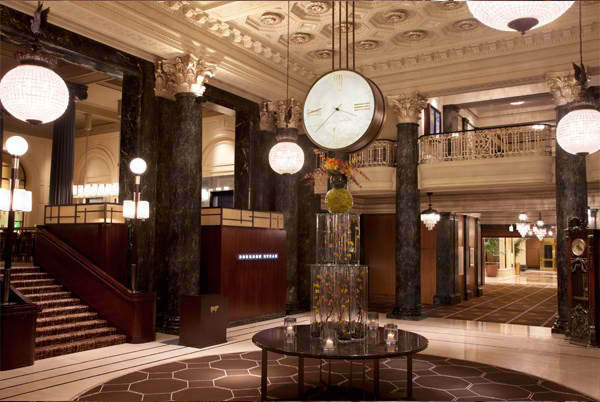 Theseambassador-led tours include the Landmark Lobby, the renowned Magneta Clock and the historic cases filled with relics that exemplify the story of the hotel. Tours begin in the Landmark Lobby. Free and open to the public. 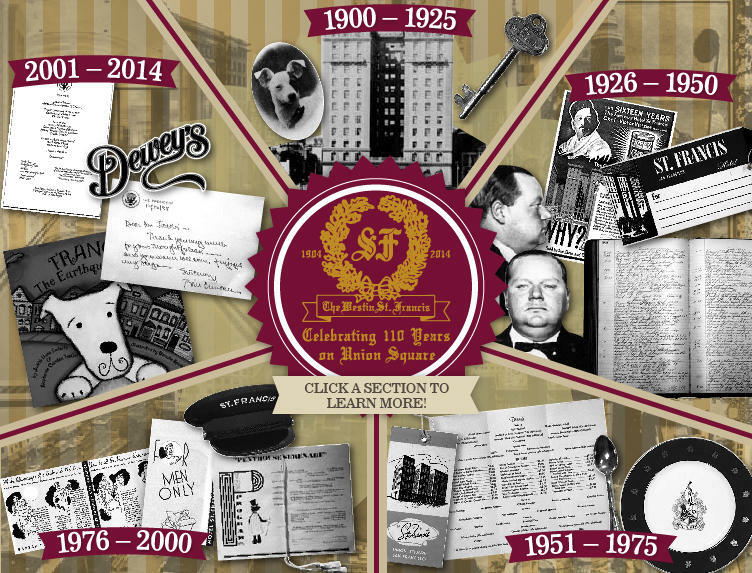 Throughout the entire year, guests and visitors to The Westin St. Francis can celebrate the110th anniversary of the hotel with special packages, menu items, historic tours, spatreatments and more. For more information, visit westinstfrancis.com. Shake all ingredients with ice, and strain into a cinnamon sugar rimmed cocktail glass. Garnish with an orange spiral. The Cable Car cocktail is a variation of the classic Sidecar. But while the Sidecar dates back to World War I, the Cable Car is a recent creation, as far as drinks go. 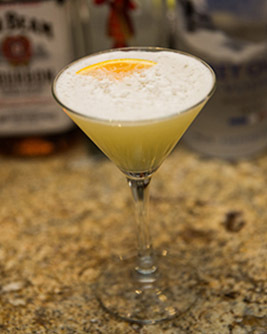 The Sidecar uses cognac as its base spirit, while the Cable Car is made with Captain Morgan�s Spiced Rum. The Sidecar is made with Cointreau, and the Cable Car with orange Curacao. visit westinstfrancis.com.